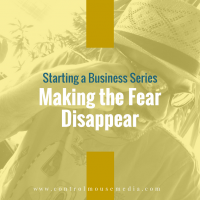 A key part of succeeding in business is making the fear disappear. This is especially true if it’s your own business – and you’re just getting started. When you’re in the early days, “learning mode” feels like mistake after mistake. Fear starts to take hold. You stop trying new things, even though it’s essential to a new business. It can feel paralyzing. We all start out scared. But in order to be successful, you have to learn how to quiet the voice of fear in your head. It takes time, but when you eventually make the fear disappear, it puts you in a position of power. The result? 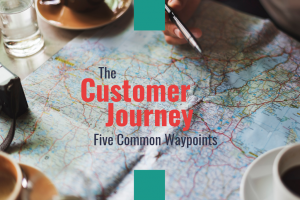 You make better decisions, attract better customers, and produce better outcomes. Episode 125 offers strategies for facing your fear head-on (even when you have every reason to be scared!). Listen here or in your favorite podcast player. “I wish that could give to you my fearlessness (when I’m not using it).” This is from a song I wrote explaining how Fear Is Just the Way We’re Wired. And just for “fun,” here’s another song I wrote about The Other Side of Fear. Thanks for listening! 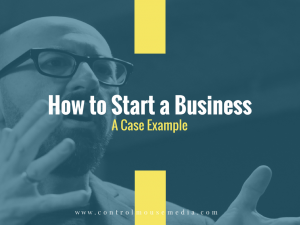 This episode is a part of series that’s also available in video format – a free online course called How to Start a Business: A Case Example. 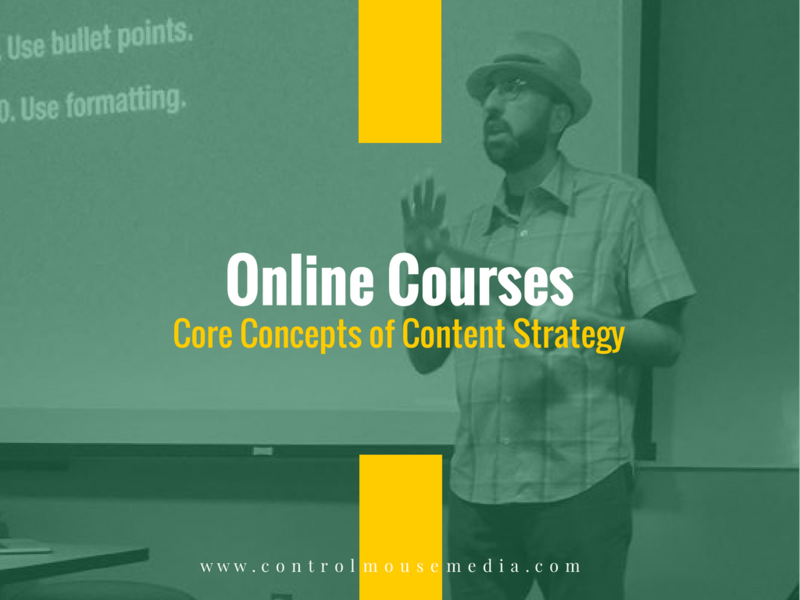 It includes worksheets, templates, and checklists that will help you run your own content strategy. 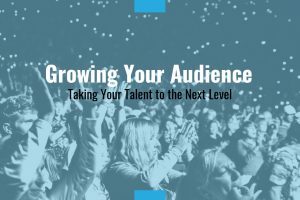 For writers, musicians, and visual artists: I also offer another online course to teach you how to build your online audience without all the “dirty work” of traditional marketing. 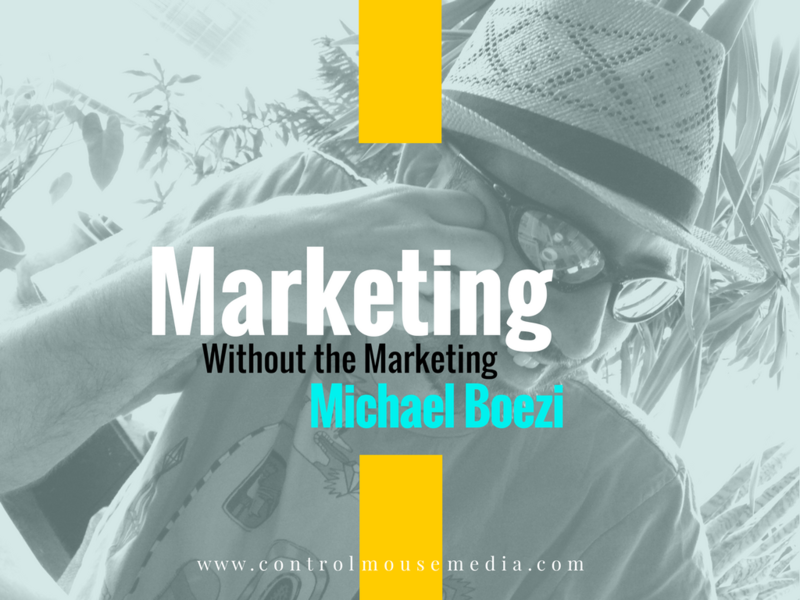 Subscribers to this podcast get a discount – use this link: https://controlmousemedia.com/mwm. I like to help. 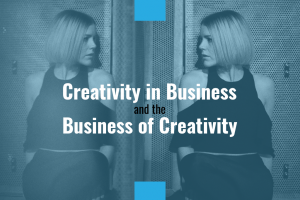 I do that for free in my podcast and blog to help small business owners of all types, including writers and other artists. If you are able, fuel my efforts with a cup of coffee! I love coffee, and I make a pretty sweet Americano if you want to stop by sometime. I also offer private one-on-one training too. Reach out for a free initial consult – I’d love to hear from you. Published May 14, 2018 by Michael Boezi.